This Saturday, July 29th, marks 50 years since the Doors hit #1 on the Billboard Hot 100 Singles Chart with “Light My Fire,” one of the biggest songs from the Summer of Love and the band’s best-selling single of all time. Fans and radio stations worldwide are also encouraged to celebrate the anniversary this Saturday with the call to action to “Play ‘Light My Fire’ at 7:29 on 7/29,” with the result being millions of Doors fans listening to the song simultaneously on the golden anniversary. Fans can share their memory of the song with the hashtag #lightmyfire. The new digital maxi-single of “Light My Fire” will also be available this Friday on all digital download and streaming services. The bundle features the mono single version, the stereo album version, and a live version from the Felt Forum in New York City from January 17, 1970. Guitarist Robby Krieger wrote most of “Light My Fire,” which also happened to be the first song he ever wrote. The track – along with the Doors’ first single “Break On Through (To The Other Side)” – helped fuel the band’s early success and made stars of Jim Morrison, Ray Manzarek, John Densmore, and Krieger. Released in May 1967, “Light My Fire” was the second single from the Doors’ eponymous debut, a multi-platinum classic that’s considered by many today to be among rock’s finest debut albums. The song entered the Billboard chart on June 3rd, and after a few weeks it had climbed to the top, reaching number one on July 29th. Both “Light My Fire” and the Doors’ debut album have been inducted in to the Grammy Hall Of Fame and the latter has also been added to the National Recording Registry at the Library of Congress. 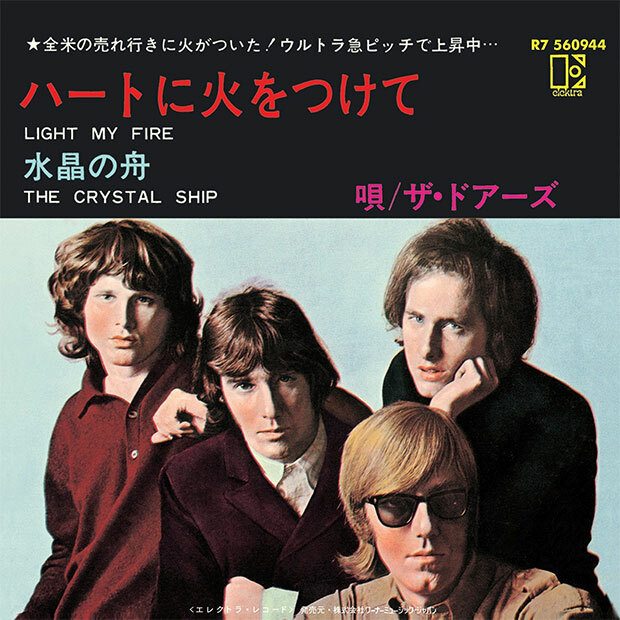 “Light My Fire” will also be included in the upcoming Doors The Singles release on September 15th. The collection includes every single and B-side the band released in the U.S., all gathered together for the first time. The Singles is available in a variety of physical and digital formats including a limited edition vinyl boxed set featuring twenty 7” replicas of all of the Doors’ singles.